The six sides of these hexagonal handmade encaustic cement tiles will create an unusual and appealing texture on your floor or wall. Each one is a gentle shade of pink, and the slight variations in the colour make for an interesting aspect full of charm and character. These hard-wearing encaustic tiles feature a deep colour layer which means that they will maintain their original colour for many years to come. The six sides of these hexagonal handmade encaustic cement tiles will create an unusual and appealing texture on your floor or wall. Each one is a rich deep black and the slight variations in the colour make for an interesting aspect full of charm and character. These hard-wearing encaustic tiles feature a deep colour layer which means that they will maintain their original colour for many years to come. These hexagonal tiles in beige, black, and grey create an astounding optical effect when laid. The neutral, natural colours make these decorative tiles ideal to combine with any colour of furniture and will show off especially well lighter fabrics and decors. The six sides of these handmade encaustic cement tiles will create an unusual and appealing texture on your floor or wall. The six sides of these hexagonal handmade encaustic cement tiles will create an unusual and appealing texture on your floor or wall. These decorative tiles have a rich deep blue hexagonal centre, bordered in white and then grey. The effect is clean, simple and stunning and these encaustic tiles are ideal for smaller spaces such as bathrooms or kitchens. The six sides of these hexagonal handmade encaustic cement tiles will create an unusual and appealing texture on your floor or wall. These decorative tiles have a pale grey hexagonal centre, bordered in white and then an outer border of a darker shade of grey. The effect is clean, simple, and stunning and these encaustic tiles are ideal for smaller spaces such as bathrooms or kitchens. The six sides of these hexagonal handmade encaustic cement tiles will create an unusual and appealing texture on your floor or wall. These decorative tiles have a regal purple hexagonal centre, bordered in white and then with an outer border in pale grey. The effect is clean, simple, and stunning and these encaustic tiles are ideal for smaller spaces such as bathrooms or kitchens. This fascinating tri-colour hexagonal handmade encaustic cement tile creates a real visual impact with the cleverly designed and meticulously hand-crafted forms in grey, black and white. The precise lines and solid colours will keep looking strong and firm for your enjoyment over many years. The six sides of these encaustic tiles will create an unusual and appealing texture on your floor or wall. These hexagonal handmade encaustic cement tiles give you many laying options and they also create an unusual and appealing texture. These tiles are mostly clean white with a small deep black triangle extending between two points on one side. Have fun putting these encaustic tiles down in different directions to create a myriad of effects which will make your home truly unique and special. These handcrafted hexagonal handmade encaustic cement tiles are precisely divided through the centre and one half is black and the other is white. The six sides mean that there are lots of laying options that allow you to create diverse overall patterns on walls or floors. 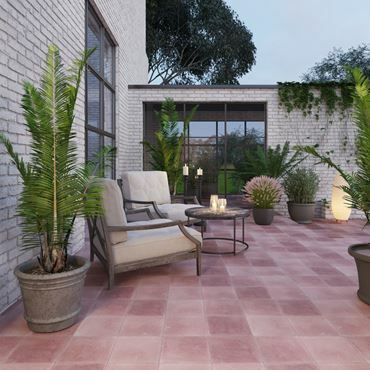 The thick 8-mmm colour layer of these cement tiles means that they will keep their clean contrasting colours which can be combined with any colour of decor.